A horrifying accident involving a grandmother and a baby boy recently happened in China. The incident transpired at the Wu Yue Plaza department store, which is located in the Qingpu district of Shanghai. CCTV footage taken from the third floor of the Wu Yue Plaza department store shows the elderly woman carrying a baby at around 2:30 p.m. that day. The elderly woman is followed by a younger woman — presumably the baby’s mother. The younger woman also has a toddler walking beside her. Everything seems well. The two women with the babies and the toddler looked like just all the other families enjoying their time at the mall. However, in a split second, everything changed. Their day at the mall became a big tragedy. Reports say that the escalator happened to be on power-saving mode. That means, it would only move once somebody gets on it. 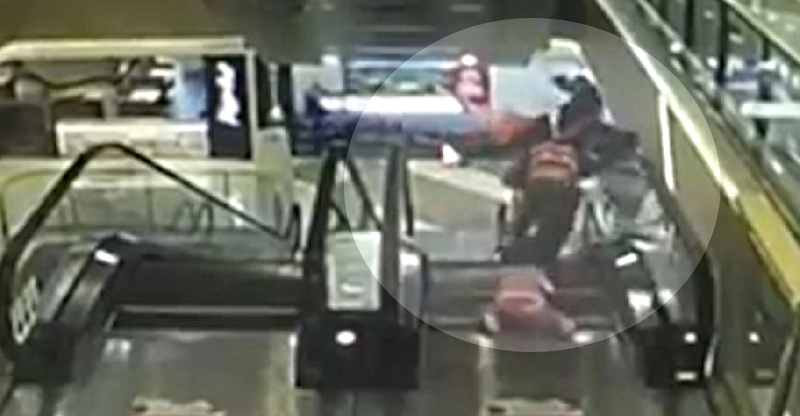 When the grandmother stepped on the escalator to go down, that’s when things went horribly wrong. You’ll see the whole shocking accident unfold in CCTV footage uploaded on YouTube by New China TV below. Upon reviewing the CCTV footage, the authorities in Shanghai noted that as the grandmother moved forward, she had used her right hand to steady herself. She had the baby draped over her left shoulder and her left arm around him. However, she then lost her footing and lurched forward. 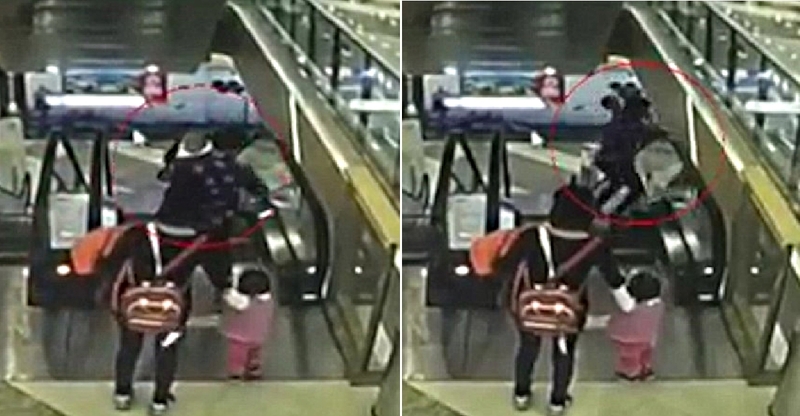 That’s when she lost her one-armed grip on the baby who is flung to the side and downwards. The baby was reportedly brought to the hospital for treatment. Unfortunately, he later died from his injuries. The reports said that he fell from a height of about 30 feet. The horrified mother rushes down with her other child behind her. People have offered condolences to the family. The terrible accident is simply devastating. However, the incident should serve as a warning to help others avoid a similar tragedy.